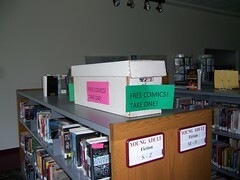 We have free comics available in the Teen area while supplies last! Courtesy of Showcase Comics! May 1, 2010 is Free Comic Book day! 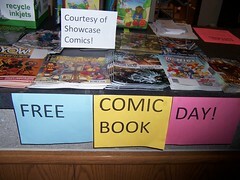 Stop by the Aston Library to pick up a free comic book, courtesy of Showcase Comics!